This year something pretty amazing has happened. The Bible has come alive again. The radical life change that Zacchaeus experienced with just one meal with Christ is inspiring. The wonder of 5 loaves and 2 fish feeding over 5,ooo people has overtaken me. I’ve begun to grasp how significant Mary anointing Christ with costly perfume is to the death of Christ. And communion means more to me now than it ever has. I’ve been an authentic follower of Christ for over 20 years. I’ve read the Bible in its entirety. Multiple times.I went to Bible college. I studied theology and hermeneutics and homiletics. I’ve preached sermons! But I have to say that this year. This year is the one where I’ve really only just begun to understand and see the word of God in it’s entirety in a truly relevant and life altering way. And it’s not in the way you would think. I didn’t find a Bible study that connected all the dots. And, although I’ve really enjoyed and been deeply impacted by the sermons my pastor has preached, and thoroughly enjoyed the discussions my LifeGroup has had, it’s not completely because of these that my understanding has been deepened. It has been through teaching little children. And not even elementary students who have reached that place of critical thinking and understanding. It has been among the black and white, face value, hard to keep their attention for more than five minutes, 1,2, 3 and 4 year olds of Legacy Church Preschool. 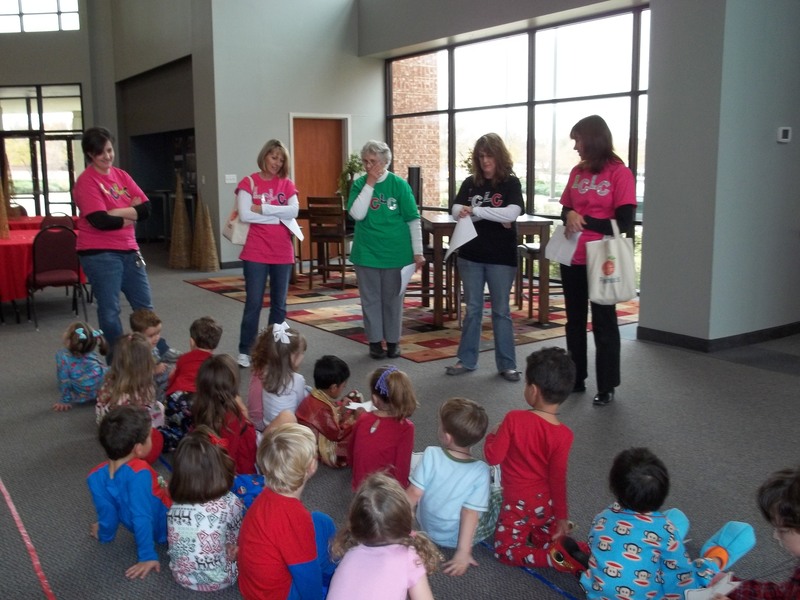 For five years now, I have had the incredible opportunity to teach Bible to preschoolers. Although it’s been a slight detour off the beaten path I’m used to, it has been some of the most glorious, growing times in my life. And for that I am truly thankful. This is my last year with this precious preschool. Next Thursday I will teach my last lesson as Specials Teacher. They’ve got a wonderful replacement. She’ll take this Specials Gig to a whole new level. I will miss hearing the children call to me from the playground. I will chuckle from time to time as I recall them shouting my name while walking down the hallway…their teachers reminding them to have bubbles and fish tails. Oops! Remember with deep fondness the Bible stories they can retell with mostly accurate details…the Bible verses they’ve memorized and internalized…the songs that they’ve sung with great exuberance about our Lord. Legacy Church Preschool, you’ve been so good to me. Children past and present, you’ve taught me to trust Jesus. Elaine. Jess. Dear teachers past and present, who’ve encouraged me, partnered with me, and taught me what it means to love like Jesus and translate that love into how I treat these dear ‘little ones to him belong’: from the bottom of my heart, I thank you. aww Becky! Just found your comment. Thanks so much for all your support and love and encouragement!